Option 1M -130,000 record length. Extend TDS 784A record length from 50,000 standard to500,000 samples on one channel, 250,000 on two channels, and 130,000 samples on three or four channels. The TDS Oscilloscope provides limit testing, which can automatically compare each incoming or math waveform against a template waveform. You set an envelope of limits around a waveform and the oscilloscope finds waveforms that fall outside those limits. (See Figure 3–82.) When it finds such a waveform, the oscilloscope can generate a hardcopy, ring a bell, and stop and wait for your input. 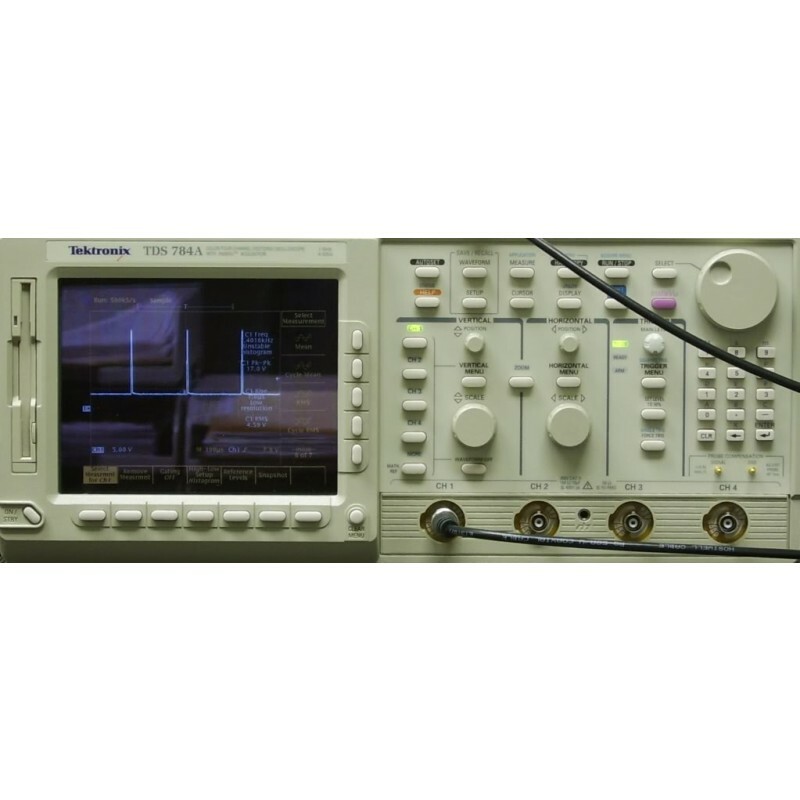 The TDS Oscilloscope provides a means for you to mathematically manipulate your waveforms. For example, you might have a waveform clouded by background noise. You can obtain a cleaner waveform by subtracting the background noise from your original waveform. The Advanced DSP Math capabilities of the TDS Oscilloscope include taking the Fast Fourier Transform (FFT) of a waveform. This section describes FFTs and how to set up the oscilloscope to display and measure FFTs.